Offering quality, affordable, Clare Valley accommodation coupled with country style hospitality, the Auburn Shiraz Motel, which is located on the southern side of town, is within easy walking distance to all the main attractions and local facilities. Stay with us at the Auburn Shiraz Motel and experience the magic of Auburn for yourself. While it’s always worth checking to see if last minute accommodation is available, the popularity of our many wine region events makes booking ahead a better option, providing you with peace of mind to enjoy your stay! Will only be taken up to midnight when rooms are available. The hosts of the Auburn motel work hard to ensure their guests are comfortable and enjoy their stay, which is why they regularly update and improve their establishment, both inside and out! Coupled with a high standard of cleanliness and its convenient location, the Auburn motel is the perfect choice when planning a relaxing holiday in pleasant country accommodation. Cycling or walking enthusiasts will be happy to know that Auburn is the starting point of both these popular trails. 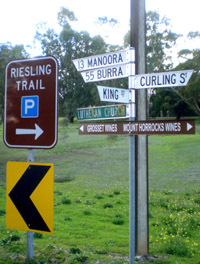 The Riesling Trail takes you north to Clare, encompassing many of the region's major attractions and cellar doors. The Rattler Trail takes you south to Riverton, through scenic vistas of gently rolling hills and pastures of cereal crops and dairy farms.